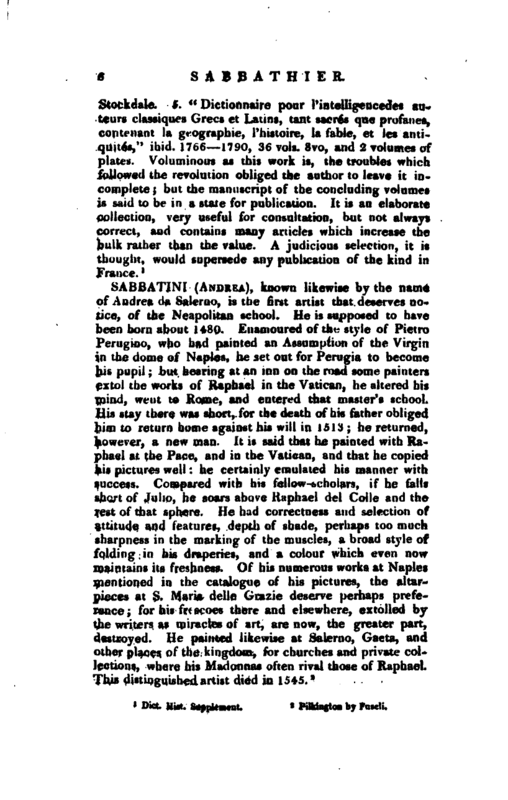 , a learned French writer, was born at Condom, Oct. 31, 1735, and after making great proficiency in his studies among the fathers of the oratory in that city, went to Orleans, where he was employed as a private tutor. In 1762, he was invited to the college of Chalons-sur-Marne, where he taught the third and fourth classes for sixteen years, which gave him a title to the pension of an emeritus. His literary reputation took its rise principally from his essay on the temporal power of the popes, which gained the prize of the academy of Prussia. He was then about twenty-eight years old; but had before this addressed a curious paper on the limits of the empire of Charlemagne to the academy of Belles Lettres at Paris. He was the principal means of founding the academy of Chalons, procured a charter for it, and acted as secretary for thirty years. Such was his reputation that he had the honour to correspond with some of the royal personages of Europe, and was in particular much esteemed by the kings of Prussia and Sweden; nor was he less in favour with Choiseul, the French minister, who encouraged his taste for study. It does not appear, however, that his riches increased with his reputation, and this occasioned his projecting a paper-manufactory in Holland, which ended like some of the schemes of ingenious men; Sabbathier was ruined, and his successors made a fortune. 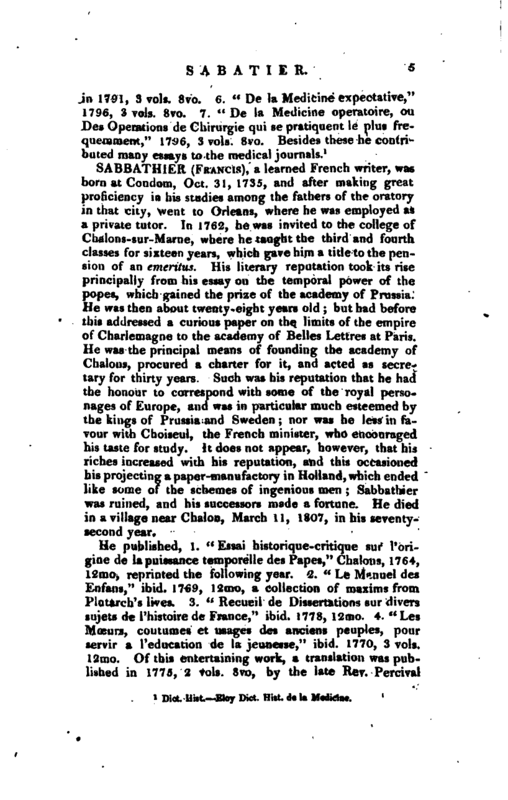 He died in a village near Chalon, March 11, 1807, in his seventysecond year.